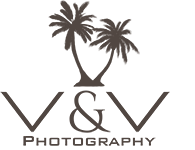 V&V Photography, providing energetic, free flowing and most of all a fun beach experience. It is about you and the photographer (Jeffery Patrick) working together in the poses to create the most natural images that will reflect your unique personalities. V&V Photography is mindful of the classic lighting and posing techniques while mixing in modern chic and utilize both natural light as well as special effect lighting. The goal of V&V Photography is to not make portraits feel like a chore, but to capture great images while providing a wonderful experience on the beach! Your chosen digital files include Full Print Rights! $50 group fee for groups of 10 or more. Images edited and posted online for 30 days. Editing includes Cropping the images, checking white balance, density, contrast, and sharpening. Images edited and posted online for 30 days. Editing includes Cropping the images, checking white balance, density, contrast and sharpening. Retouching available for an additional fee (Photoshop). Due to the limited sunlight, groups of more than 10 for sunset packages will be charged an additional $50. If weather is unfavorable for your photo session, another day will be scheduled if possible. If customer cancels due to weather at least 2 hours prior to session, the customer will be issued a refund of the retainer. Customers may cancel at least 48 hours prior to their arrival date to receive a refund of the retainer. Customers that cancel after the 48 hour period will not be eligible for a refund. If weather is unfavorable, the session may be rescheduled for a later time/date or a refund of the retainer will be issued. Customer may make changes to the reservation without any fees as long as it's outside the 48 hour cancellation period. Customer must call V&V Photography 24 hours prior to your session to verify meeting time, location and any other important details in regards to the session. We offer Grayton Beach State Park in Santa Rosa Beach, 30A. Any other beach location must be requested and agreed upon. There may be travel and service fees for any other location.